Osprey Watch 1B has some special features that make this unit perfect for any family vacation. Located on the lake in Litchfield By the Sea, this unit features wonderful decor, super lighting and a peaceful enclosed sun room with a terrific view. This unit features three bedrooms, 2 full bathrooms and a half bath. Located on the raised lower level is the fully updated kitchen with wet bar that opens up to the dining area and sun room, which is the best place to curl up with a book or take a nap. The living room is also located on the lower level with large flat screen TV, games, books and more. Just off the Living room is a wonderful porch, half bath and laundry room. The master bedroom features a private bathroom with double sinks, soaker tub and shower. The master bedroom also offers a king size bed, flat screen TV and access to the outside porch. Upstairs guests will find two additional bedrooms that share a hall bath. Each bedroom has an in room sink for guest use. 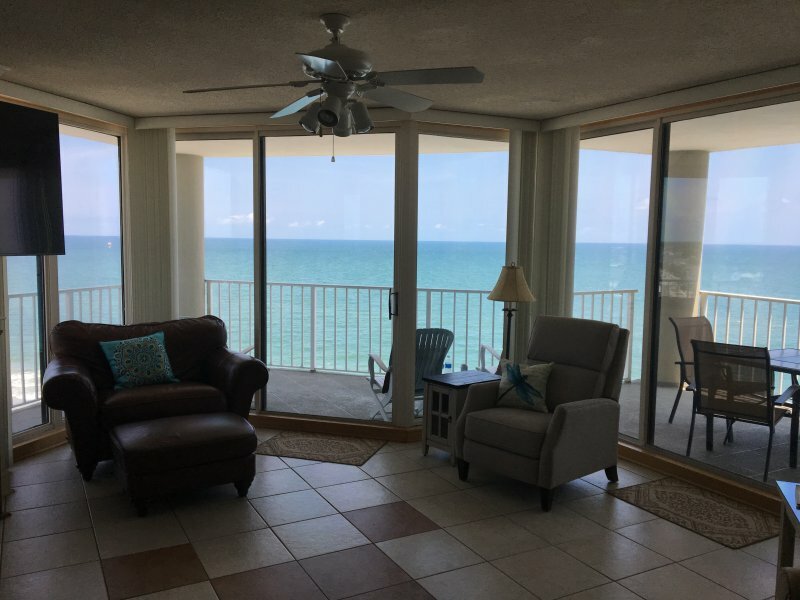 Fully updated and featuring super beach decor this unit will quickly become a guest favorite. The bedrooms upstairs feature one queen and two doubles. 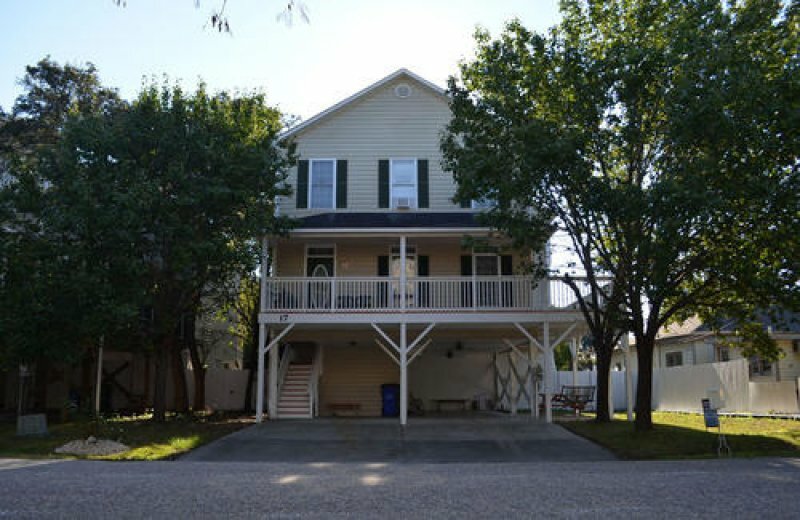 Also provided in this unit is a wireless printer, covered parking, outdoor deck, access to Osprey Watch pool, internet, cable TV and all the comforts of home. This unit rents Saturday to Saturday in the Summer season and anytime in the off season. Great winter rental for snowbirds! No smoking, No pets. Max. Occupancy: 8 Call or email for more details. Description Osprey Watch 1B has some special features that make this unit perfect for any family vacation. Located on the lake in Litchfield By the Sea, this unit features wonderful decor, super lighting and a peaceful enclosed sun room with a terrific view. This unit features three bedrooms, 2 full bathrooms and a half bath. Located on the raised lower level is the fully updated kitchen with wet bar that opens up to the dining area and sun room, which is the best place to curl up with a book or take a nap. The living room is also located on the lower level with large flat screen TV, games, books and more. Just off the Living room is a wonderful porch, half bath and laundry room. The master bedroom features a private bathroom with double sinks, soaker tub and shower. The master bedroom also offers a king size bed, flat screen TV and access to the outside porch. Upstairs guests will find two additional bedrooms that share a hall bath. Each bedroom has an in room sink for guest use. Fully updated and featuring super beach decor this unit will quickly become a guest favorite. The bedrooms upstairs feature one queen and two doubles. 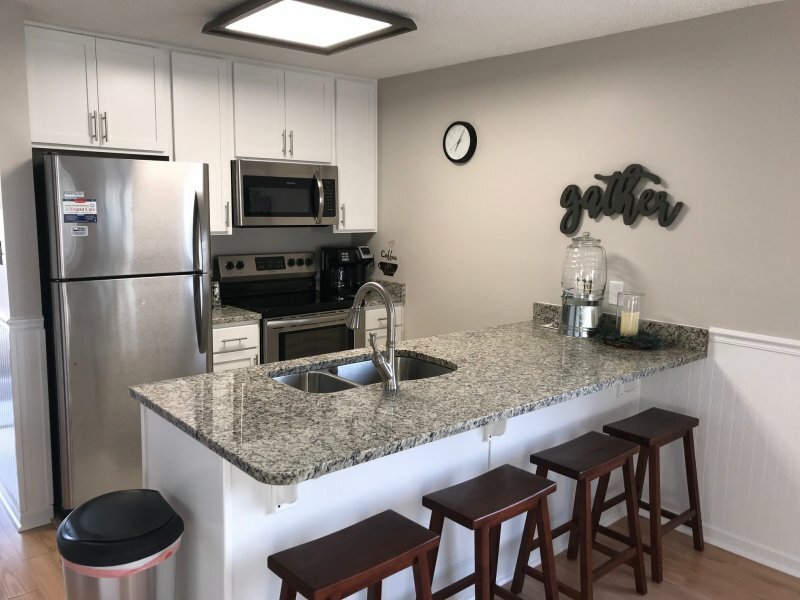 Also provided in this unit is a wireless printer, covered parking, outdoor deck, access to Osprey Watch pool, internet, cable TV and all the comforts of home. This unit rents Saturday to Saturday in the Summer season and anytime in the off season. Great winter rental for snowbirds! No smoking, No pets. Max. Occupancy: 8 Call or email for more details. Additional Rate Information No taxes if stay 90 days or longer. Damage waiver and Departure clean additional. View of Lake and Marsh...close to areas for fishing.